Hotway Tech Crank Case Heater, 65 and 85. 135 etc. Power(Watts): 65, 85. 135 etc. A crankcase heater is an electrical component in a compressor in an air-conditioning system, heat pump system, or chiller system. The crankcase heater is normally on all the time, even when the unit is not running, though temperature sensors and set points may turn it off when not needed. 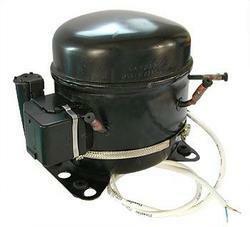 The Crankcase Heaters are designed to be used for air conditioners and refrigeration compressors. They are used to prevent the absorption of refrigerant into the oil. The absorption is faster and nearly complete at lower temperatures. Lack of lubrication causes severe damage to the compressor when they are started. It is very important the crank case heart comes in automatically when the compressor is stooped the has to be checked on day.